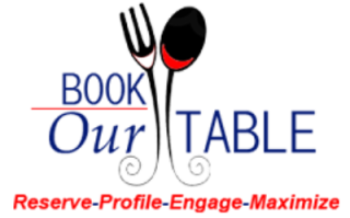 Book Our Table is India’s first cloud based table reservations channel system for restaurants which will allow the establishment to generate bookings directly at the restaurant, through its own website and Facebook page, at a centralized call center, across distributed outlet and office locations, through multiple and popular customer facing Food & Beverage portals, over phone applications and more. It allows the restaurant owners to focus on their operations while distributing and managing its limited and highly perishable table inventory, maximize yields and get higher occupancy and revenues, even as it automatically captures and updates customer profiles and even creates a channel of effective mass and personalized customer communication. Business owners to take control of the restaurant and manage guest expectations. Staff will become more efficient when they use the system and the operation will be less stressed. Your business will make more money through increased restaurant yield. Staff will spend fewer hours on managing reservations and will focus more on high quality guest experience. The data and reports generated from the system will increase your marketing potential and serve as a guide to better plan your resources and various campaigns and festivals that you would like to introduce. Where you have multiple restaurants you can manage with less staff by creating a Central Reservation Office for table reservations. Hosted on Microsoft Azure cloud, guaranteed system uptime of 99.9%.